If you’re running macOS 10.13.4 High Sierra or macOS 10.14 Mojave you may have seen a dialog that says an app isn’t optimized for your Mac. 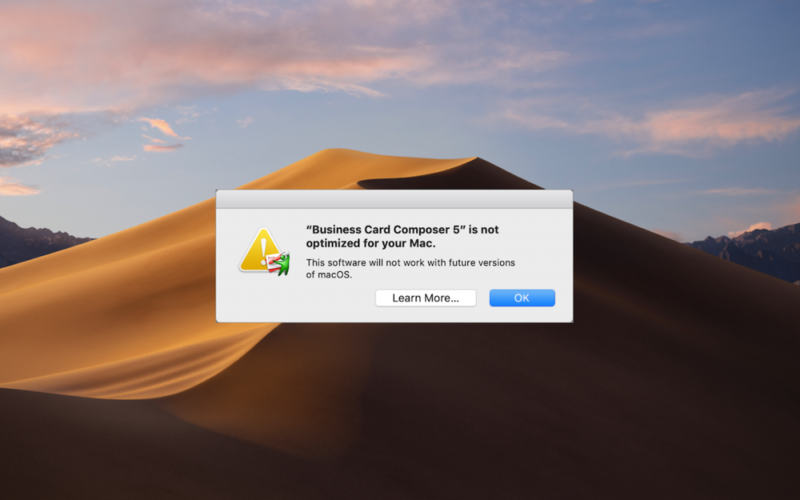 The message differs slightly between High Sierra and Mojave with the High Sierra version telling you the developer needs to update the app to improve compatibility whereas Mojave saying bluntly that the app won’t work with future versions of macOS. What’s going on here, what should you do and when should you do it? Over a decade ago Apple started to transition all the chips used in Macs along with macOS itself from a 32-bit architecture to a 64-bit architecture. Without getting into technical details 64-bit systems and apps can access dramatically more memory and enjoy significantly faster performance. 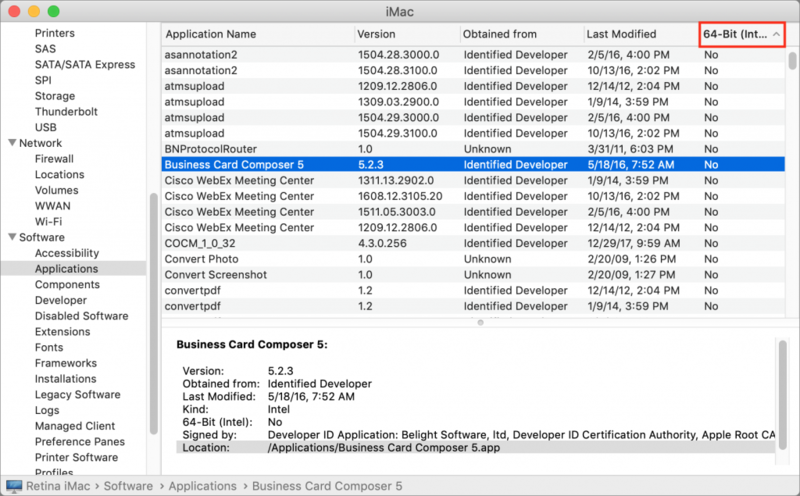 Apple knew it would take years before most people were running 64-bit hardware and 64-bit-savvy versions of macOS so it allowed macOS to continue running older 32-bit apps. 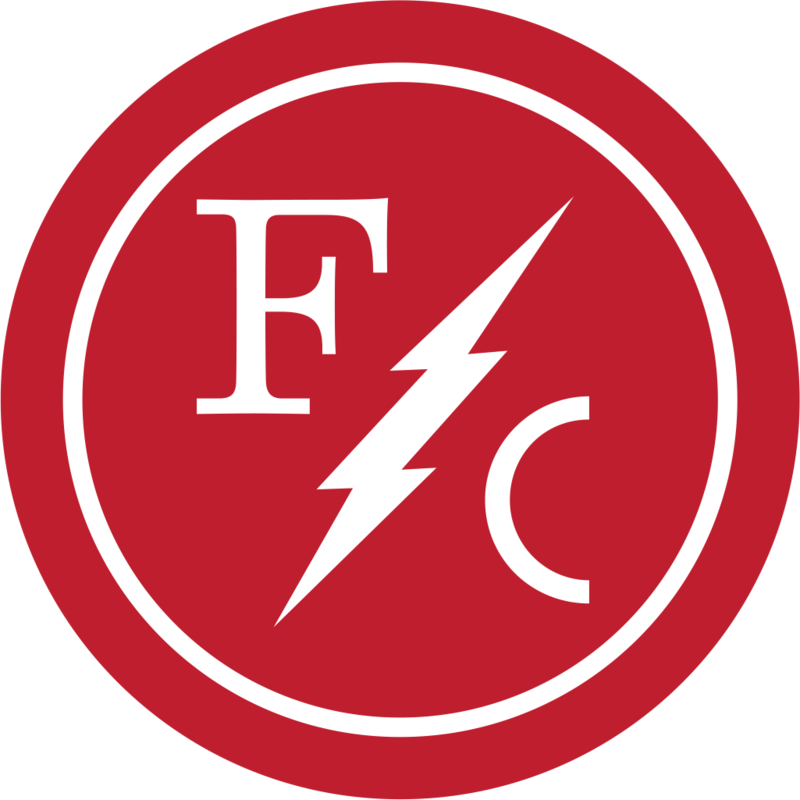 However, maintaining that backward compatibility has a cost in terms of both performance and testing. At the Worldwide Developer Conference in 2017, Apple warned developers that High Sierra would be the last version of macOS to support 32-bit apps “without compromise.” At the next WWDC in June 2018, Apple announced that macOS 10.14 Mojave would be the last version of macOS to run 32-bit apps. Happily, the only “compromise” for 32-bit apps in Mojave is the warning dialog which appears every 30 days when you launch an older app. But the writing is on the wall- 32-bits apps will cease working in macOS 10.15. 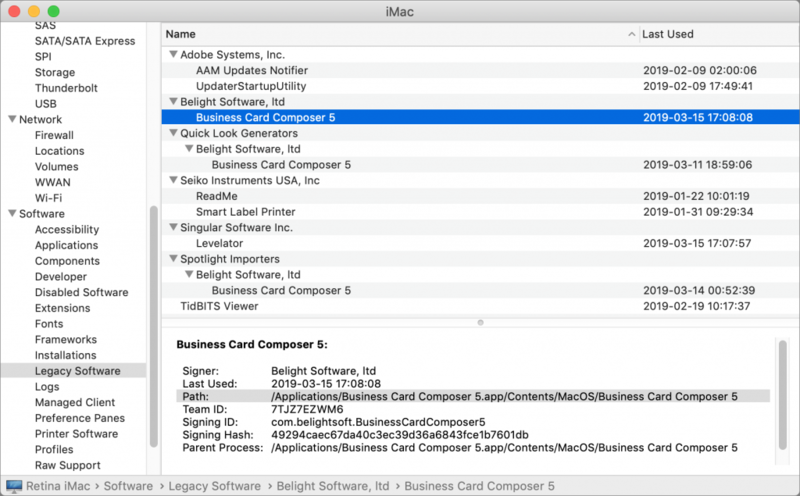 This technique works in both High Sierra and Mojave but in Mojave, System Information includes a better-formatted section called Legacy Software that also provides a list of 32-bit apps. However, this list may be smaller because it includes only those apps that you’ve launched. Since it’s likely that you open old 32-bit apps only occasionally you can’t trust the Legacy Software list to be complete. 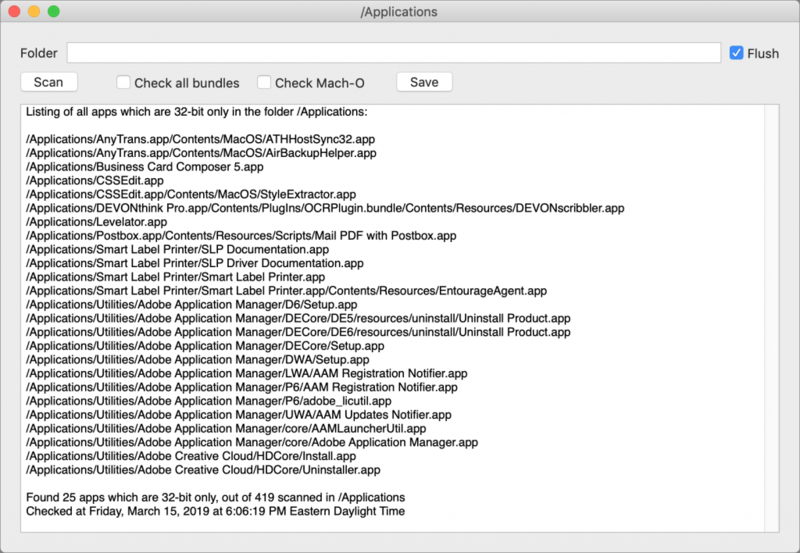 If you find System Information’s Applications list overwhelming check out the free 32-bitCheck utility from Howard Oakley. It performs exactly the same task but lets you focus on a particular folder and save the results to a text file for later reference. Once you know which apps won’t work in macOS 10.15 you can ponder your options. Luckily, you have some time. 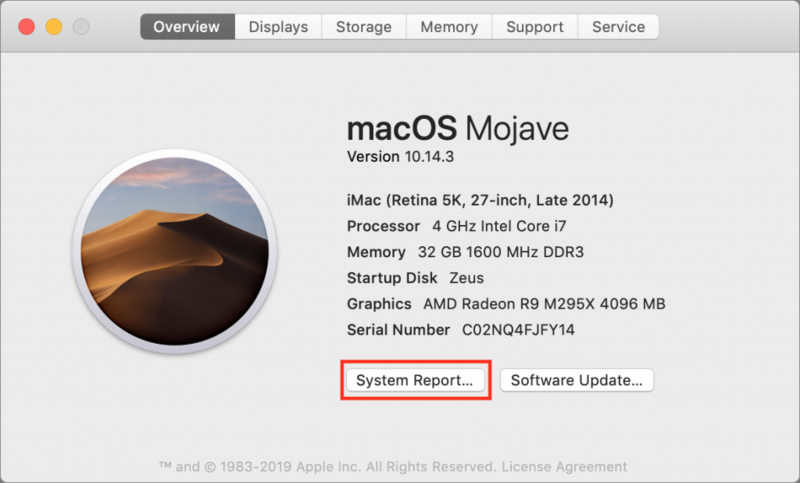 We expect Apple to release macOS 10.15 in September 2019 but you don’t need to upgrade right away in fact, we recommend that you wait a few months after that to allow Apple time to fix bugs. Upgrade it: Apps in active development will likely have a new version available. The main questions are how much the upgrade will cost and if there are compatibility issues associated with upgrading. You can upgrade at any time although it’s likely worth waiting until you’re ready to move to macOS 10.15 to minimize costs. The apps that cause the most irritation here are things like the Adobe Creative Suite—Photoshop, Illustrator, and InDesign—that require switching to a monthly subscription. Replace it: If no upgrade is available the cost of upgrading is too high, or upgrading comes with other negatives it’s time to look for an alternative. This can take some time so it’s worth starting soon to ensure that the replacement will provide the features you need before macOS 10.15 forces the decision.